Go back to Mexico Road Trip. Go back to Pena de Bernal Day 1. We had dry if cold weather on the second day in Bernal. We headed up to the formation in hopes of finding a route on a different aspect of the monolith. After an hour-long bushwhack to the north face, we could find no evidence of the route we were looking for and fought our way back to the south side. 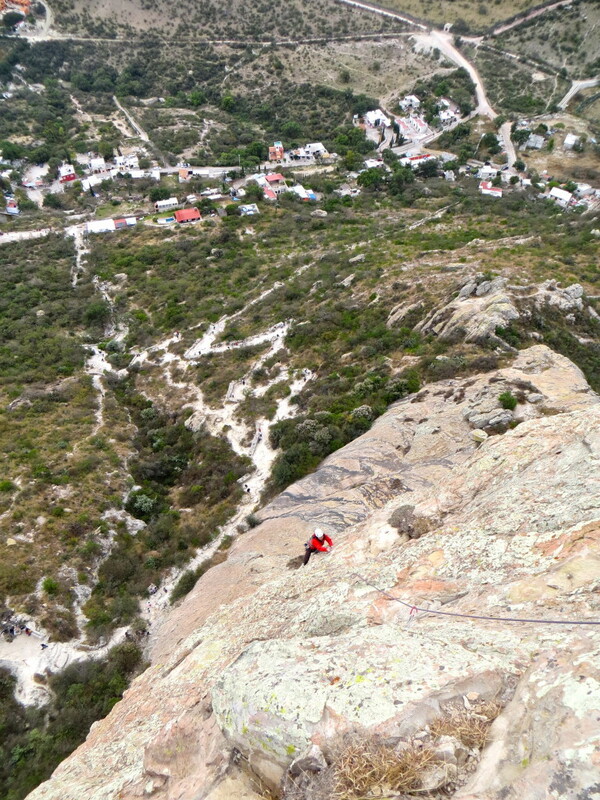 This time we climbed the same combination (Via Del Padre to Bernalina) as Ben and Carlos did the previous day including a variation on Bernalina’s final pitch. 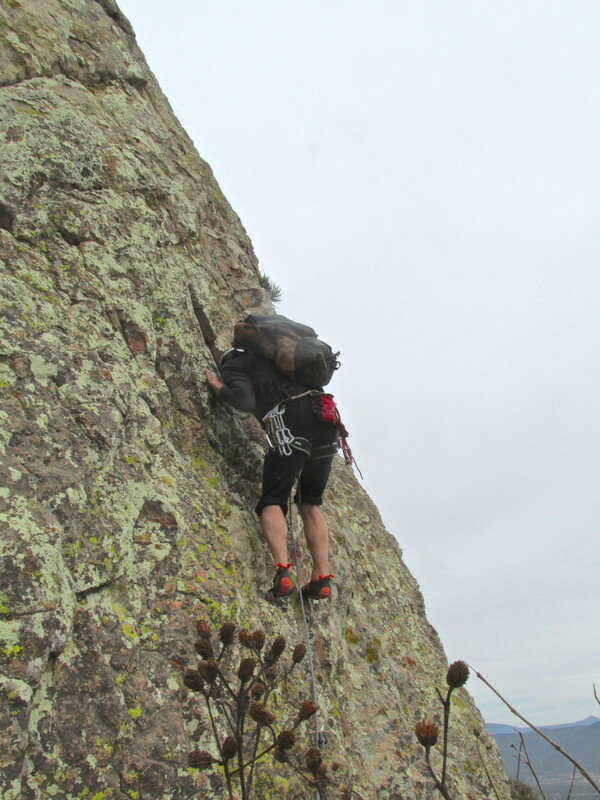 More fun crimping and edge pulling and another visit to Pena’s summit. As it was Christmas day, we found the hiking path choked with people. A scene reminded me of our hike out from Devils Tower after a climb…except this time we could not understand the questions and comments being flung at us. Had we not been warned about driving at night in Mexico, we’d have headed north that afternoon. 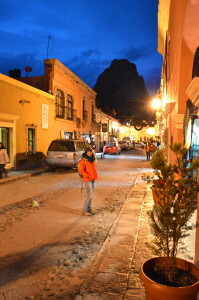 Instead we spent the rest of the day checking out the town, drinking margaritas and mojitos, and taking in the moment. 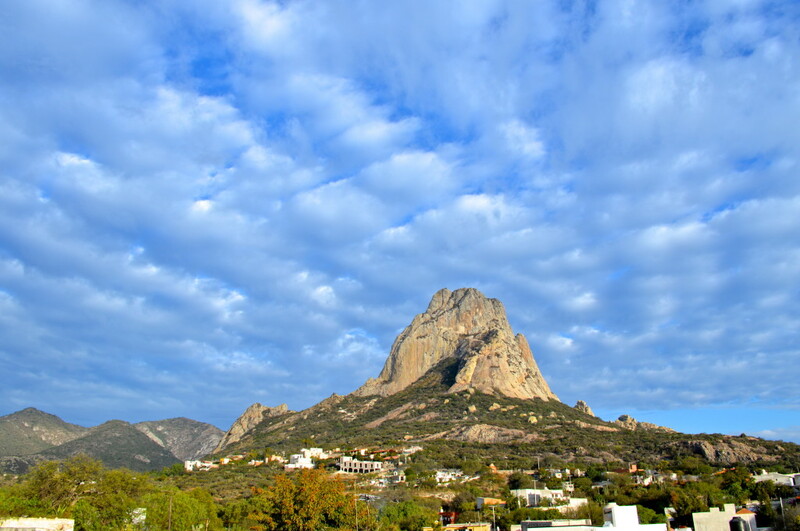 Both Mineral del Chico and Bernal were lively but all the tourists were Mexican or at least Spanish speaking – we saw no foreigners during that part of the trip. A glorious morning greeted us on day two in Bernal (Dec. 2013). 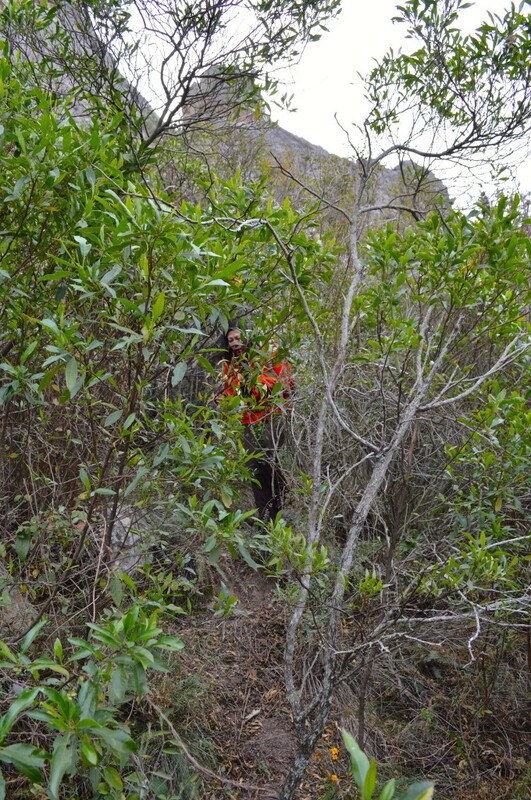 No trip is complete without some bushwhacking. 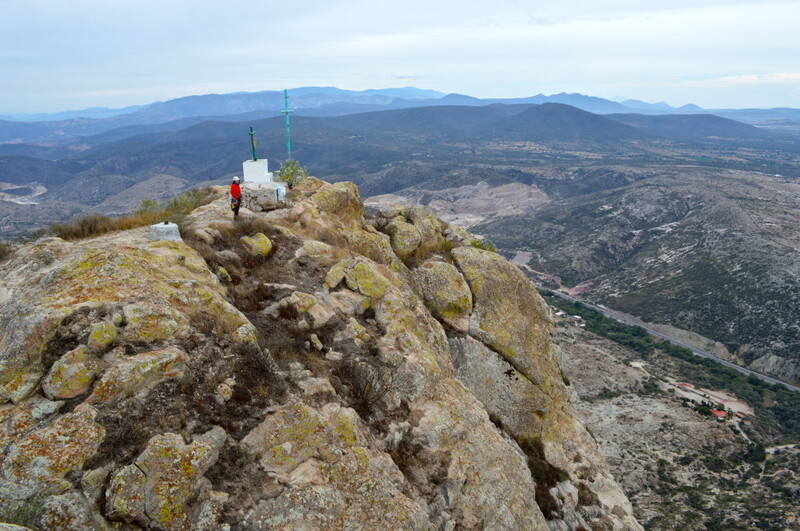 Trying to get to the north side of the Pena in search of an older route…we did not find it (Dec. 2013). Shirley nearing the top of pitch 2 (I think) of Via Del Padre. 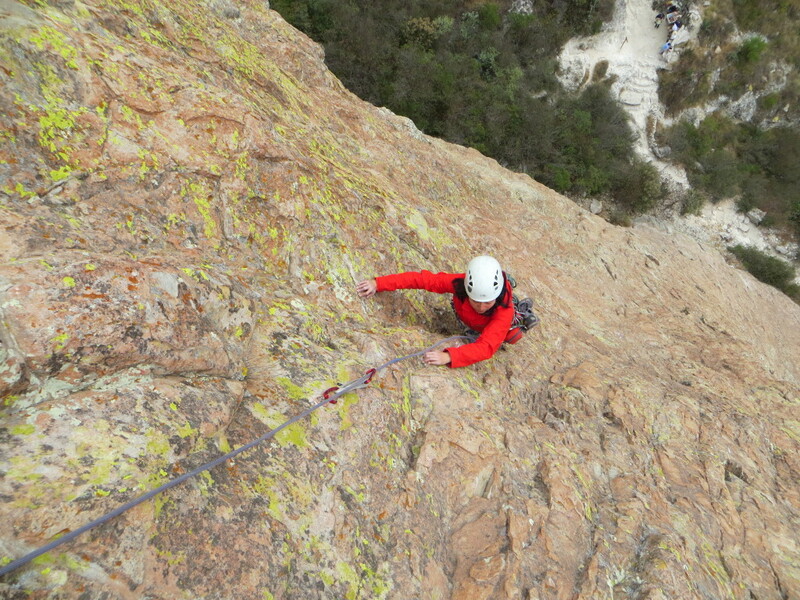 Such fun climbing on this face of the formation (Dec. 2013). 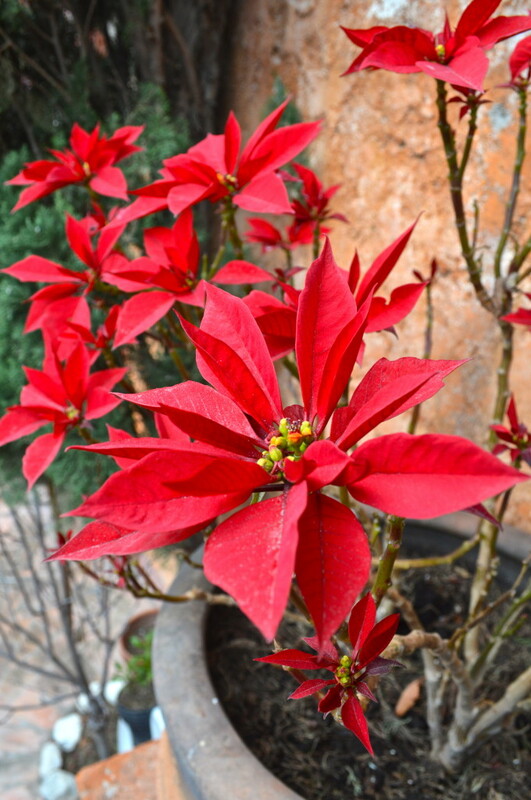 More Via Del Padre edge pulling (Dec. 2013). 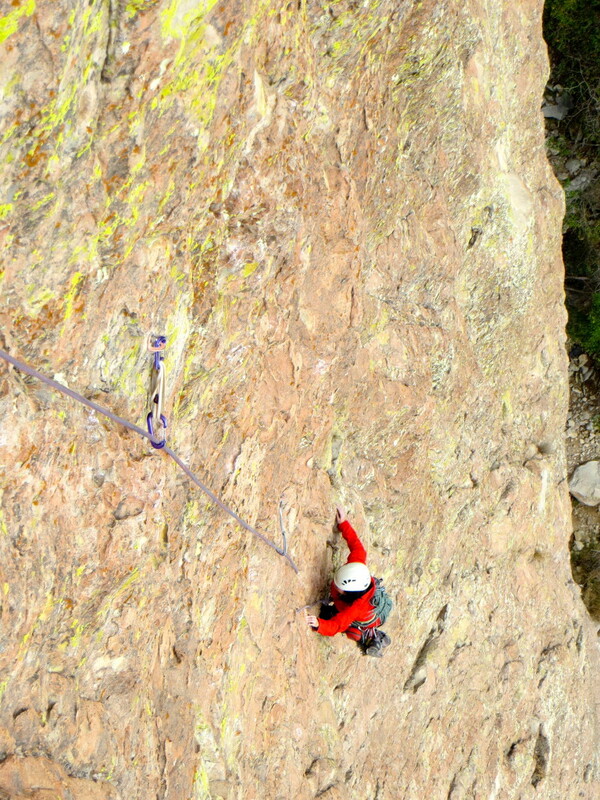 After three very fun pitches of Via Del Padre (5.10-), we once again joined the easy but scenic Bernalina (5.8) for its final two pitches to the summit (Dec. 2013). 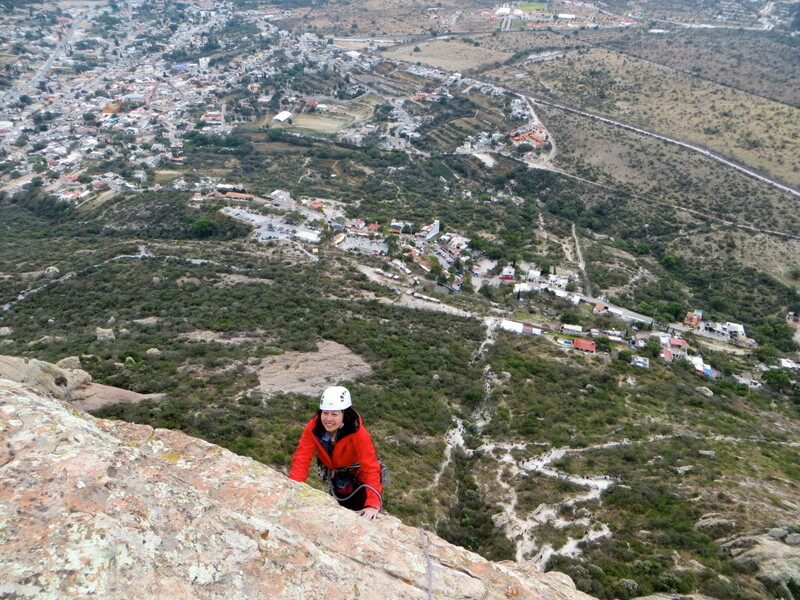 On our second time up the Pena, we took the right hand finishing pitch of Bernalina. Same difficulty as the left though maybe not quite as over bolted (Dec. 2013). Shirley near the top on our second lap of Pena de Bernal. 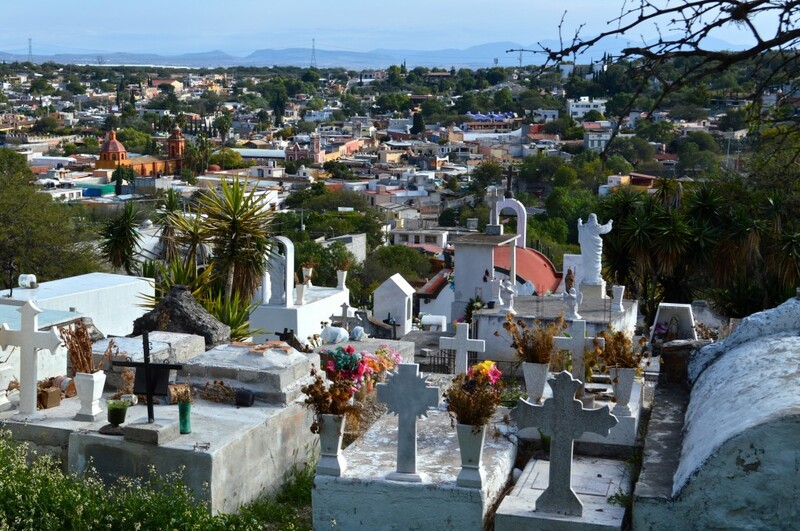 Bernal Pueblo is down below (Dec. 2013). Shirley on our second lap to Pena’s summit. This time we had it to ourselves (Dec. 2013). 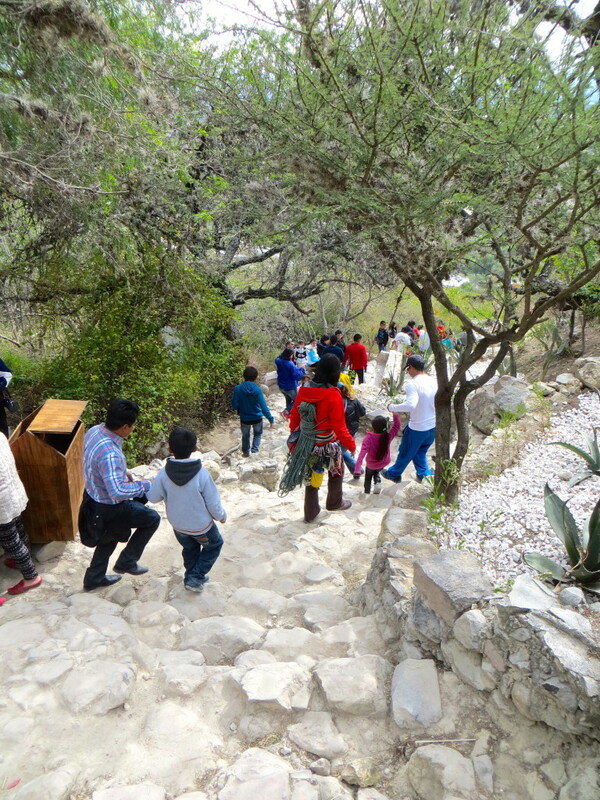 Hiking down from Pena on a very busy Christmas Day (Dec. 2013). 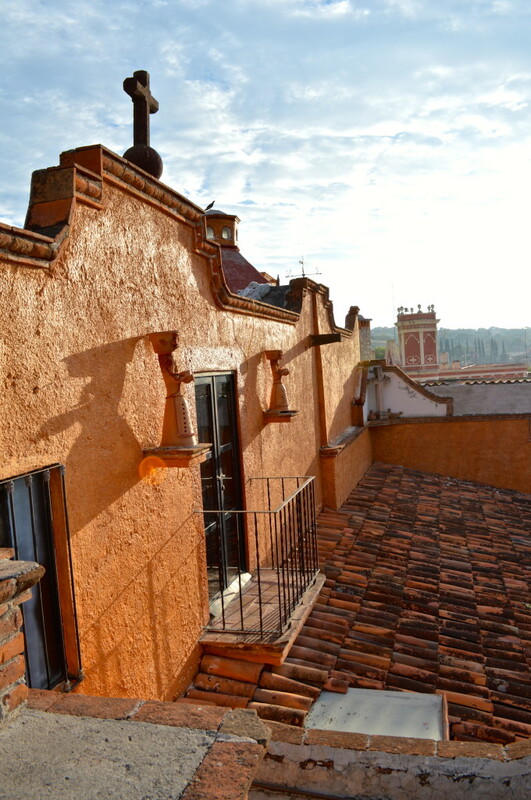 Casa Tio Camilo (Dec. 2013). Shirley on our final evening in Bernal (Dec. 2013).